Join us for the 5th annual Family Square Dance with the Eelpout Stringers! Bring yer dancin’ shoes and a treat to share (optional). Refreshments and a good 'ol time provided. Please Note: Concert will be held at the Coffman Memorial Union Theater (300 Washington Avenue Southeast Minneapolis, MN 55455). Anselm House, Catholic Students United, and Art House North bring you a night of music, story, and worship with Sandra McCracken, Tuesday March 26th! Our friends, Jenny & Tyler will be back in St Paul this spring! Jenny & Tyler, a married folk/pop duo hailing from Nashville, present their There Will Be A Song Tour.Jenny & Tyler's forthcoming album, There Will Be A Song, is the duo's 6th studio record - to release in fall 2018. After two label releases with Residence Music, Jenny & Tyler are going back to their roots, releasing as independent artists and self-producing the record for the first time since Faint Not(2010). Join us for a night of music with local friend & artist John Mark. With special guest, Emily Haavik. $20. Ticket includes Brake Bread & Dogwood Coffee. John Mark Nelson is a songwriter & producer living and working in Saint Paul, Minnesota. At a young age, he received national attention for his self-produced works, "Still Here" and "Waiting and Waiting", which were followed by extensive national and international touring. In recent years, Nelson has continued to generate a high volume of recorded works, tour nationally and internationally, and produce and record work for many acclaimed artists and songwriters. A trauma surgeon, a Ukrainian immigrant, a foster child, a home-school mom and a widow all try to find their way through their loss and ultimately toward one another. Runtime: Approximately 90 minutes. Presented in one act without an intermission. This summer we will be hosting our first Songwriting Workshop and Retreat at Art House North! This will be a space for you to learn and grow in your songwriting with workshops led by Sara Groves and other amazing songwriters (other facilitators TBA). Cost does not include travel and hotel, but covers all programming and meals from 2:30 on Friday, August 17 through a closing mealtime on Saturday the 18th. In addition, there will be a limited number of 1hr one-on-one songwriting mentor sessions with Sara on Thursday and Friday morning before the workshop begins Friday afternoon. Our time together will include a lot of good food, conversation about the role of the songwriter, practical creative writing help, small group opportunities to share songs with other songwriters, and an intimate writer-in-the-round with Sara and Friends. We look forward to seeing you! It feels good to host a night at Art House North once again! 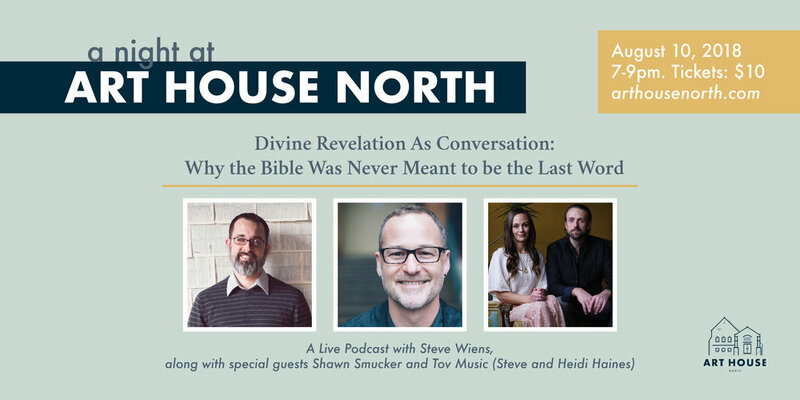 Join our friend, Steve Wiens for a night of storytelling, song, and a chance to be a part of a live recording of his podcast, This Good Word. He’ll be joined by author Shawn Smucker, who wrote the award winning novel The Day the Angels Fell, along with musical guests Steve and Heidi Haines, who will be sharing songs from their soon-to-be-released album. Steve will be talking about Midrash, which sees Divine Revelation not as the final word but as just the beginning of an ongoing conversation with God. 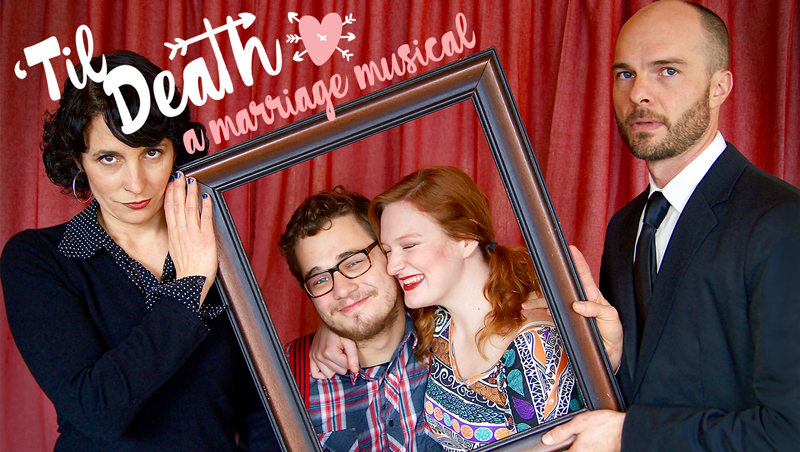 Tickets are $10 and includes coffee and a treat from Brake Bread. Grab yer partner, and join us for another free evening dancing in the streets with the Eelpout Stringers! 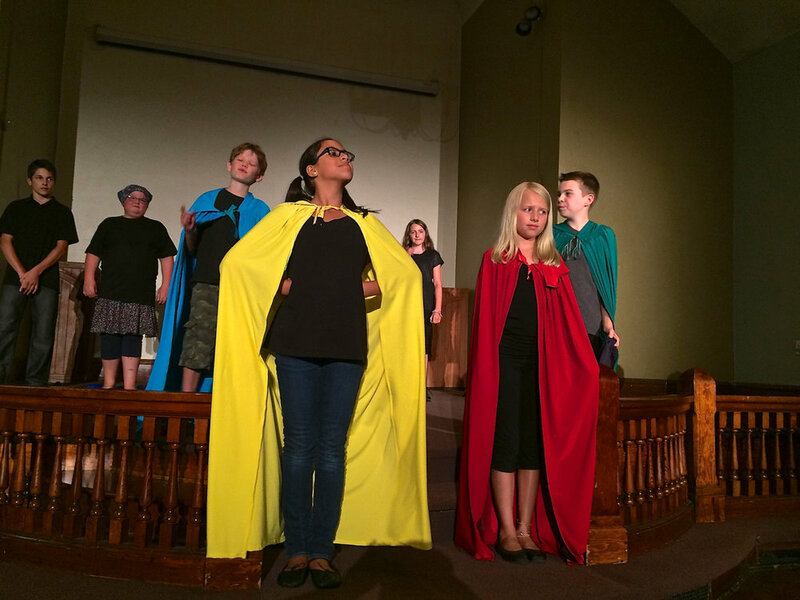 Bucket Brigade offers theater classes and workshops to challenge and encourage students to freely express themselves, work in an ensemble, and effectively communicate physically and vocally. 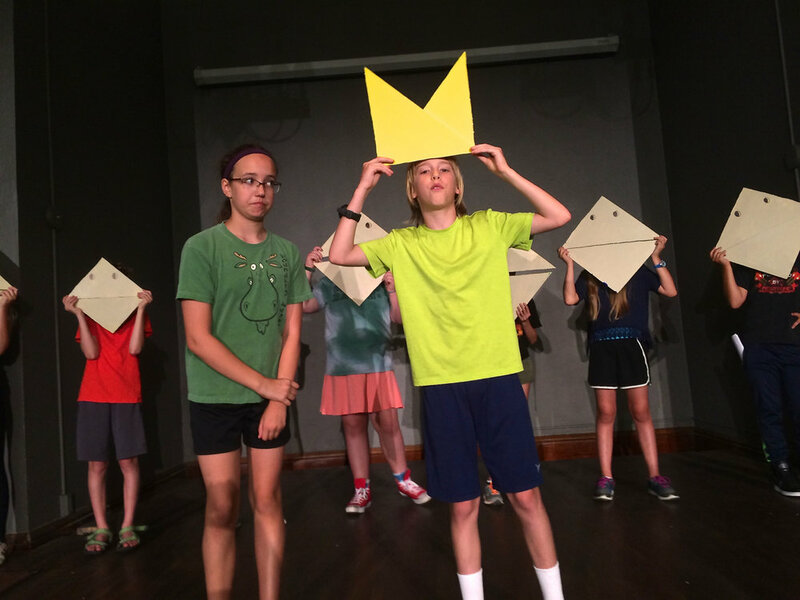 We don’t just “do theater games.” We are passionate about creating new work– honestly wrestling with ideas and communicating them thoughtfully and imaginatively through art. We love inspiring students to find their voice and communicate what’s in their head and heart. Join Sarah Nelson of Auslandish in a guided Nature Walk at a local state park! 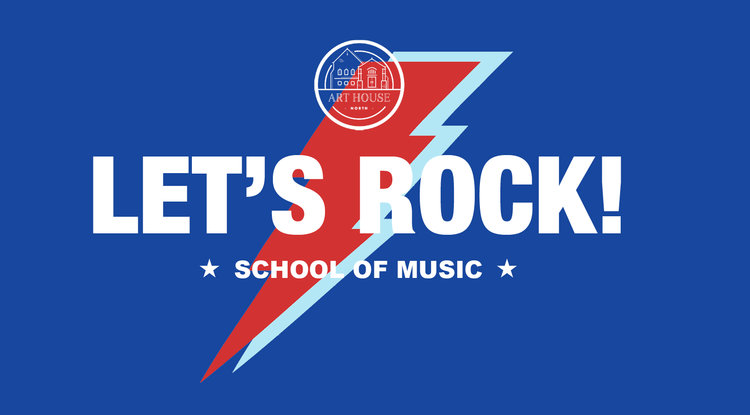 Let's Rock is an 8 week program of classes, where your children learn how to play in a jam band! The kids are already in session and are preparing for this special night. The concert is for them to perform LIVE, with the roaring sound of applause from an audience. Come cheer them on, and rock out with us! Event is Free but please RSVP. Back in the fall, Sara Groves launched a Pledge Campaign to help release her latest record, Abide With Me (Which was recorded at Art House North!). As one of the incentives for helping fund the record, we created "The St Paul Experience." This includes: Two tickets to an afternoon and evening in St Paul curated by Sara and Troy. A tour ofSt Paul sites, dinner, and a private concert at Art House North, plus a few surprises. This is a private event for our sweet friends who helped fund the record. As Christ followers, we want to steward this earth that God has created. Join us, with Ben Rosenbush, Sarah Ann Nelson, and Sara Groves, for a night of artistic response to this issue of Creation Care. Tickets: Free, but still need to register. “Let’s Rock” is an after school music jam class provided by Art House North. The structure echoes the ”School of Rock” style of teaching, where the class forms a band, and plays current, familiar hits. The instructors facilitate the bands and work with kids at various skill levels, to simply, a. expose them to music, b. experience playing in a band together, and of course c. to have FUN. 4th grade-8th grade. Scholarships and sibling price breaks available, contact contactarthousenorth@gmail.com. Once signed up, a registration form via email will be sent out, to place your child in a class, based upon what instrument they would like to play/availability! Tuesday March 13, 20, 27, April 10, 17, 24, May 1, and the concert on May 8th! The times will be either 4:20-5:15 or 5:30-6:25. $125 = individual child’s participation in the 8 wk program: Let’s Rock! school of music. Local film production company, Foreword Film Co. has released their first short film, The Hike. Please join us on Sunday March 11th for the premiere! There will be snacks provided, as well as behind the scenes footage, and a conversation with the cast & crew. It's going to be awesome. These guys also are the video/design team behind a lot that goes on at Art House North & with Sara Groves!